Mary Jenkins Community Praise House is one of only four praise houses remaining on St. Helena Island. The small wood frame building, which was built c. 1900, represents a vernacular architectural form that has survived since the plantation era. Paris Capers, born in 1863, was one of the early elders. 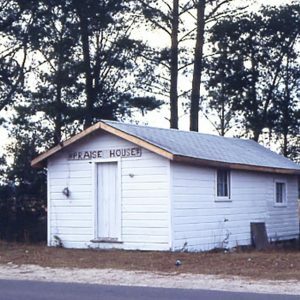 As a place of religious worship as well as community meetings, this praise house is an important reminder of St. Helena Island’s African American heritage.